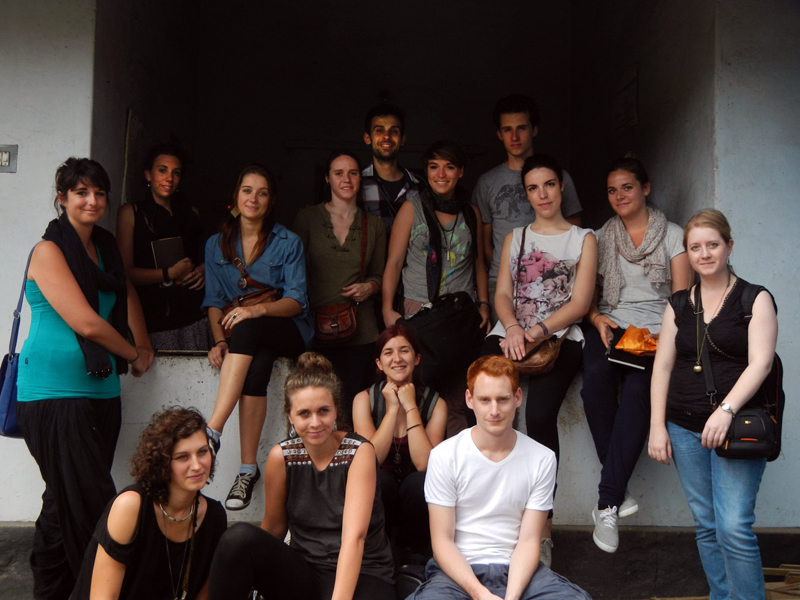 TCD Semester starts for the A 4 batch with a field trip to Kerala! For the first week of class, we have been moving to Wayanad*, a district in North-East Kerala. The purpose was to visit an NGO (Non Government Organisation) called Uravu. 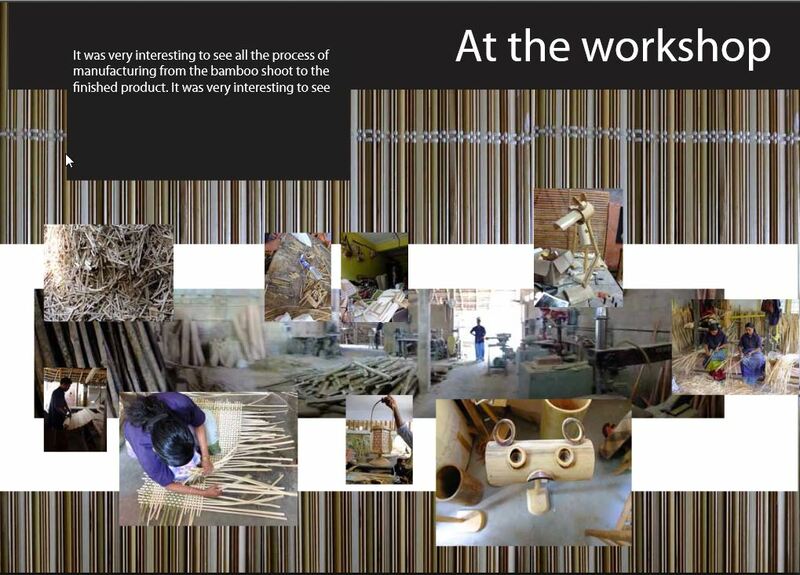 This Company employs local people from the countryside plus highlights traditional handicraft knowledge in the bamboo field, which is disappearing nowadays. Since the employees, mostly women, didn’t have the opportunity to go to school, working as craftspeople with bamboo provides them nowadays with an income. More than a social firm, Uravu is also following a sustainable process using a regional material (the bamboo) and avoiding as much as possible any chemical product in the fabrication of their products. Uravu preserves Wayanad’s cultural and natural heritage and provides an income to the region’s villagers. After having discovered all steps of the handicraft work, we went through different places in the village to meet with the craftsmen working in the different end products of the company (from the decorative objects to the textile field and even bamboo food). At the end of the day we visited the countryside where the employees are living. The next days where dedicated to discuss with the director and the designers of the firm. One after another we presented our process of creation. The idea was to try to find some innovative solutions to improve the design of Uravu’s products to be more connected to the needs and designs of the contemporary society as much as finding a way to develop their marketing approach. The main conclusion which has been proposed was, that Uravu should develop its image in a more global way: creating a logo/website/showroom representing the values of the NGO and opens to the international market. We found that Uravu could its idea of sustainability by using only natural materials and make the company’s headquarters an example for green design and handicraft. Regarding their products, we thought that the NGO could benefit if it would develop simple shapes following a consistent product line and being more “design” by matching beauty and use, observing everyday life’s needs of people. 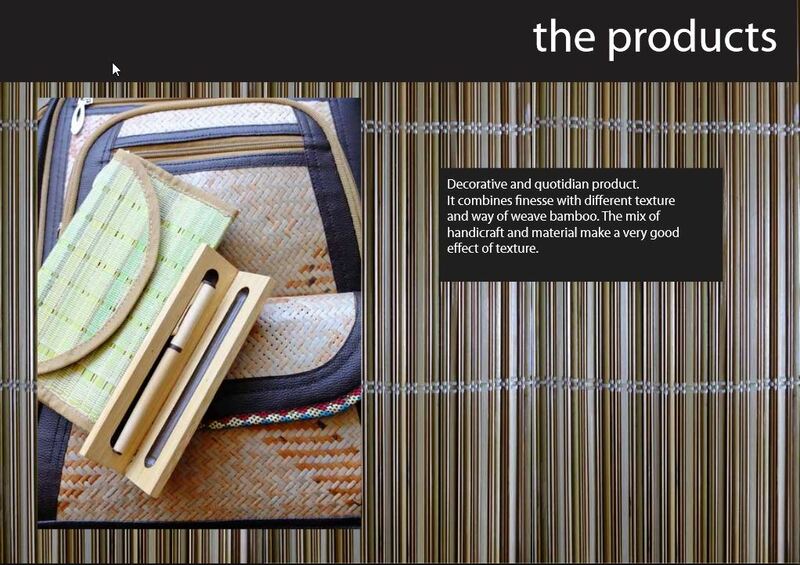 As I am from an interior design background, I also had the idea of focusing on the possibilities that the bamboo provides: developing the way of weaving to create interesting patterns, playing with the properties of the material to find new walls/flooring/partition/fabric/jaali’s solutions. Turning Uravu into a research and innovation center could open its market to a new clientele, the architects and interior designers’ one. To put it in a nutshell, this workshop was a great occasion to discover about the Indian culture and the countryside context, sharing at the same time both knowledge to find new innovative ideas to mix handicraft and design and in the same time preserve the local culture by making it fit to the way of life of the actual society. A great example of what transcultural design is. * Wayanad district stands on the southern tip of the Deccan plateau and its chief glory is the majestic rugged terrain of the Western Ghats, with lofty ridges interspersed with dense forest, tangled jungles and deep valleys. Quite a large area of the district is covered by forest but the continued and indiscriminate exploitation of the natural resources point towards an imminen environmental crisis. Wayanad is 3.79% urbanised. Agriculture, is the main stay of the economy. Coffee, tea, cocoa, pepper, plantain and vanilla are the main crops. Besides these cash crops, the most important crop in the district is rice. Dams and aqueducts have been constructed to take water to the otherwise dry areas in the district.